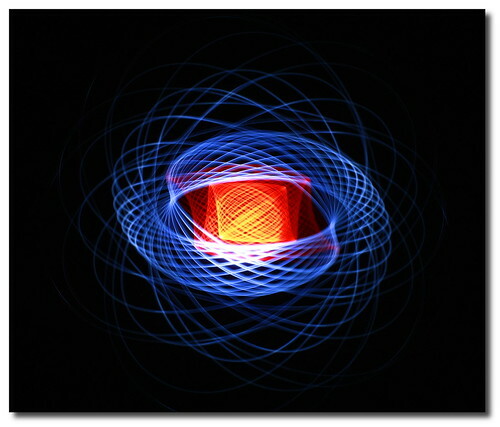 A physiogram is a single long exposure of a flashlight spinning around on a string that is tied to a ceiling. You heard me, simply find a way to attach your flashlight to a string or shoelace or something, then put your camera on the ground with the widest angle you can get (after getting the light in focus, then switching the focus off), turn out the light, turn on the flashlight, give it a good push, then take a long exposure of the physiogram. You can also achieve different kinds of effects by zooming in and out, or focusing in and out while the exposure is taking place. 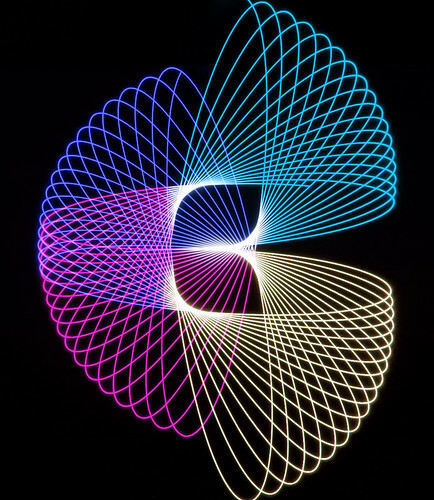 You can also use different colored lights, and blend them later in Photoshop. When you take the photo, I recommend using a 30 second (the maximum shutter time on most DSLR cameras, unfortunately) exposure, or, if you have a BULB mode on your camera, you can use that. This last image was manipulated later on a computer. 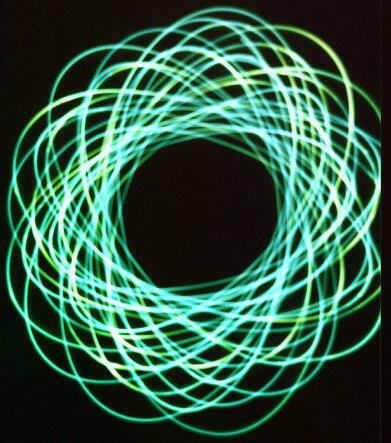 You could theoretically create a physiogram with a sparkler too. Yep, a firework SPARKLER. How awesome would that be? I haven't done it before, however the idea would be to put your camera on the ground facing upwards underneath some protective glass. Tie the sparkler to a tree branch, weight it down somehow, and take the shot the same way you would take a regular physiogram. You could also use a tripod pointing down at a mirror, with the light source above the mirror. This way you would capture the reflection, and you would be able to see through your viewfinder. I like using a wide angle lens and just putting my camera on the ground and taking the shot, however. If your in a highschool photography class, this will totally flip people out. Most, if not everyone, will not know how you did it. At least that's how it was when I did it in highschool. The Maglight Solitaire Flashlight is a neat little light that enables the head to be taken off, so it can be in "candle mode". 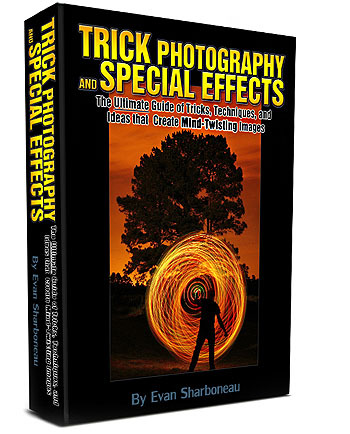 This is great for physiograms and also any kind of light painting. You will definitely have an advantage when using it. You can easily change the colors later inside of Photoshop, or some other picture editing program by adjusting the Hue/Saturation and/or by creating a new layer with the blend mode set to Color, and then paint on that layer using a color brush. HEY! thanks so much for all these !! about the flashlight…how do you edit the colors later? You can edit the color in several ways. The simplest way to do this in Photoshop would be to go to Image >Adjustments > Hue / Saturation and mess around with the slider. and hahaha !! thats actually so funny!! 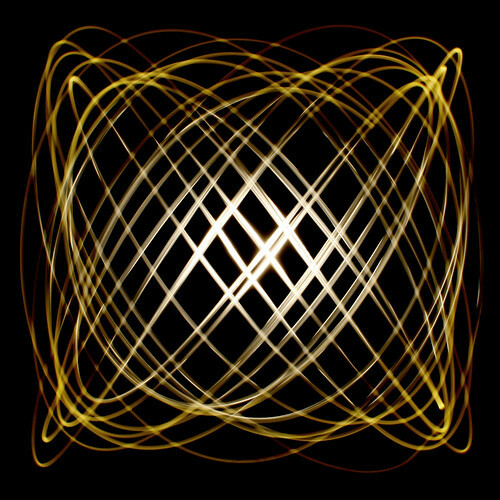 I suppose a similar effect can be achieved with sparklers or a torch and waving them around by hand. 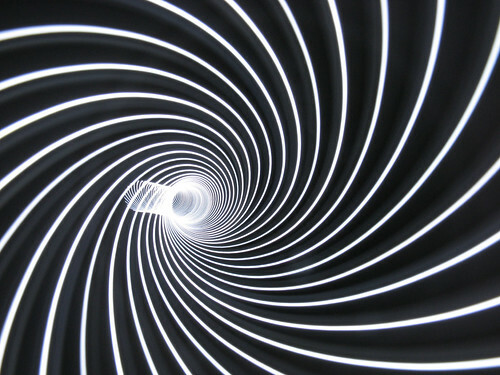 You could spell your name out in light if you’re precise enough. Great stuff! 1. Don’t squeeze the shutter too soon: allow the light to spin in a natural direction after you start it. 2. You can use a 9V battery and different X-Mas lights to get the perfect light source. Tiffany, you can get them from Rave-Nation.com. They are called microlights. There are 4 different kinds. I have the ones that are 3.95 each and come in many colors. They also have strobing ones which flash two or more colors. Great website. Thank a lot for posting this. I’ll come to your site to find out more and inform my acquaintenances about this website.